The food and beverage industry continues to expand and diversify, especially as consumers look for more healthful products that fit both their lifestyle and budget. Companies must find ways to create and market products to differentiate them from their many competitors while ensuring their goods have the taste, freshness and nutrients on which customers have come to rely. A common method food processing and manufacturing companies utilize to efficiently, cost-effectively and safely produce their goods is high-pressure homogenization. It not only reduces particle size through forces including high pressure, shear, turbulence, acceleration and impact but also allows for the stable and consistent production of emulsions, suspensions and other commodities that necessitate a liquid suspended in another liquid. Though one of the most well-known uses of homogenization in the food and beverage industry is for milk, it is also widely used in the manufacture of sauces, spreads, salad dressings, fruit juices and concentrates, fish and meat paté, sweeteners, baby food, egg product, other dairy products and more. The homogenization pressures used for these products typically range between 20 and 60 MPa, but some homogenizers can reach pressures of up to 400 MPa. This magnitude of pressure leads to microbial and enzyme inactivation, which enhances the safety and shelf life of perishable foods while reducing the thermal effects on the foods’ functional and sensory qualities. Once a company achieves its ideal product, the product needs to be reproduced on a larger scale without losing the characteristics that make it desirable by customers. If it doesn’t offer the same taste and texture on a regular basis, the manufacturer may not only lose customers and their funds but also obtain a damaged reputation. Food homogenizers help deliver a product with uniform texture, flavoring and taste through a scalable and cost-effective process that allows for a longer period of freshness than food comprised of larger particles. The smaller the particles, the longer the structure of the product can be maintained. Food homogenizers’ ability to use pressure instead of heat preserves critical nutritional components naturally found in a food, enabling them to be available for consumption. Although high-pressure homogenization may potentially replace thermal methods of food preparation, it does not effectively produce solid foods or ones formed from large particles. Also, because it uses force instead of thermal action, homogenization does not sterilize foods or beverages, requiring it to be accomplished through a separate process. The key to purchasing the right food homogenizer for your business needs is selecting one that can achieve consistent particle size distribution on a scalable basis. At BEE International, our equipment can engineer particle sizes at or below 100 nm, a benefit favorable for most any product in the food and beverage industry. Our products are trusted by researchers and laboratory managers around the world, and our unparalleled customer service will make finding the right product a breeze for companies of all sizes. Contact us today to find out more about how BEE International can aid your particle size reduction process. Homogenization, also known as micronization or, more simply, particle size reduction, is a process that is growing in popularity in a number of manufacturing industries, including cosmetic, chemical, biotech, and pharmaceutical. However, few people realize that the process of homogenization is utilized in another industry, one that affects virtually all of us – food! The use of homogenization equipment in the food industry offers a number of benefits, both to the industry itself, and to the customers, who receive the end results of the industry. Continue reading to learn more about the many benefits that homogenizers bring to the important (and ever growing!) food industry. 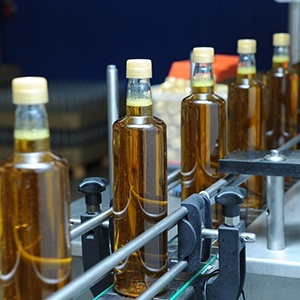 One little known benefit that homogenization offers is an improved shelf life. The process of reducing particle sizes requires the use of intense pressure, among other forces. This pressure that is exerted on food products often results in the creation of more stable chemical structures. This results in increased freshness, as well as a longer shelf life of the end product. The process of homogenization also results in a higher quality of food. The reduction of particle size of products results in an end product that has improved taste, texture, appearance, and overall quality over its non-homogenized counterparts. Related to the extension of shelf life benefit that homogenization brings is the benefit of food preservation. While heat treatment – another method of preserving food – is effective in killing harmful bacteria and microorganisms, heat can also kill helpful microorganisms, vitamins, and nutrients. Homogenization, on the other hand, uses pressure to accomplish the same task as its more destructive counterpart. This results in food that is preserved and healthy. A win-win! To learn more about the homogenizers offered at BEE International, as well as how we can help with the homogenization process in your industry, please contact us today. Homogenization, also known as micronization or particle size reduction, is heavily utilized in a number of industries, including (but not limited to): cosmetic, drug, pharmaceutical, biotech, and food. The process of homogenization offers many benefits to finished goods produced in virtually every industry. Continue reading to learn more about the benefits that high pressure homogenization offers as it relates to food production. One of the notable benefits of high pressure homogenization is the elimination of harmful bacteria from food products. High pressure homogenization is becoming an increasingly popular way of eliminating pathogens from food without interfering with taste or quality. The high pressure of homogenization, along with eliminating bacteria, also works to preserve the food. Another benefit of high pressure homogenization in the food industry is an extended shelf life of food products. The high pressure of homogenization results in improved chemical stability of foods, which allows them to stay fresh for longer, especially with foods comprised of small particles. Perhaps one of the most important benefits, at least as it relates to consumers, has to do with the improved taste, consistency, and appearance of food that is processed using high pressure homogenization. Juice, milk, and other beverages have shown marked improvements in consistency and viscosity due to high pressure homogenization, which acts to suspend particles during processing. BEE International offers a number of high quality high pressure homogenizers to meet the needs of virtually every industry. We offer homogenization equipment for laboratory use, pilot plant applications, and full scale industrial manufacturing. Why is Dairy Processing Equipment Skyrocketing in Popularity? 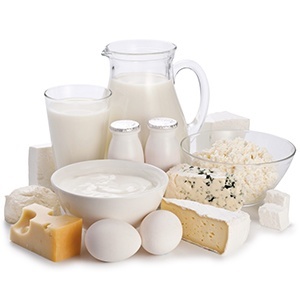 Equipment frequently used in dairy processing includes homogenizers, pasteurizers, separators, evaporators and dryers, membrane filtration equipment, churning machines, crystallizers, cheese vats and more. 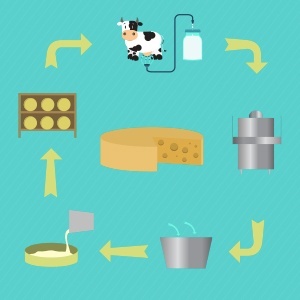 This equipment has been used for decades in the production of traditional dairy products like milk, cheese and yoghurt. In recent years, however, the demand for dairy processing equipment has risen substantially. 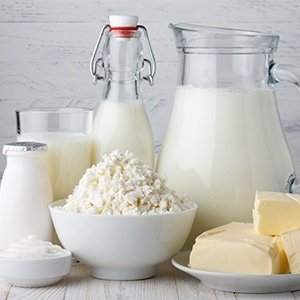 Market research predicts that the global dairy processing equipment market is projected to reach $10.90 billion USD by 2020, growing at a CAGR (compound annual growth rate) of 5.4% from 2015 to 2020. A homogenizer is an indispensable piece of dairy processing equipment. Homogenizers break down the fat molecules in milk so that they remain suspended and resist separation. Once a dairy processing facility has separated the raw milk into skim milk and cream, they then use a homogenizer to recombine these to make various milk products with specific fat contents. Homogenization also improves the viscosity, taste and mouthfeel of various other dairy products like milk-based beverages, cream cheese, mayonnaise, ice cream, cream products and dessert toppings. Homogenizers are prevalent throughout the food industry and are commonly used whenever and wherever a stable emulsion or dispersion is required. Non-dairy applications include the production of salad dressings, sauces, soups, fruit juices and candy products. BEE International understands the stringent regulatory requirements associated with food processing. Our high pressure homogenizers are designed for sanitary applications and our modular technology supports a wide variety of process configurations, including a high pressure pasteurization option. We also offer options such as automated control, data gathering, SCADA and validation documentation. Our in-line mixing technology ensures that your entire batch of product receives the same level of processing. BEE International high pressure homogenizers boast 100% scalable technology; so results developed in your laboratory will always scale up to manufacturing. Click here to learn more about how our high pressure homogenizers can benefit your food and dairy products, or contact us today! Oil in water emulsion – where oil droplets are dispersed in the water phase e.g. homogenized milk or a “creamy” style salad dressing. Water in oil emulsion – where water droplets are dispersed in an oil phase e.g. margarine. The purpose of homogenization in milk is to break down the fat molecules so that they remain suspended throughout the milk and resist separation. Without homogenization, fat molecules will rise to the top and form a layer of cream, with the watery liquid or skim milk at the bottom. Homogenization of commercial milk is widespread and expected by consumers in the USA. So much so, that the federal classification of milk IS homogenized milk, and the law does not require homogenized milk to be labelled as such. Homogenization is a purely mechanical process and doesn’t involve any additives. A dairy processing facility will typically separate the milk into skim milk and cream. They then go on to recombine (homogenize) these to make products of the desired fat content, like whole milk (3.5% fat), reduced-fat milk (1% or 2% fat), and skim milk (0% fat). Yogurt, cheeses, and ice creams of varying fat content are made the same way, by recombining the components. Homogenization is widely used throughout the food industry. It is common in the manufacture of any milk-based products to prevent a cream line or sedimentation, e.g. in chocolate milk or iced coffee drinks. Homogenization is used to improve the viscosity, taste and texture of cream or juice-based drinks, to improve the mouthfeel of soy beverages, and to prevent the separation of the whey in yoghurt. Some cheeses are produced using homogenized milk, especially when manufacturers want to control the fat content, texture and color. At BEE International, we understand food processing. Our equipment is designed for sanitary applications, and our unique, modular technology supports a wide variety of process configurations including a high pressure pasteurization option. Stringent FDA requirements are met with options such as automated control, in-line process design, data gathering, SCADA and validation documentation. Click here to learn more about how our high pressure homogenizers can benefit your food products, or contact us today! In Maslow’s hierarchy of needs, the fundamental physical need is physiological. Metabolic requirements, air, and water supplement the internal functioning, while clothing and shelter fulfill the necessary external protection from the elements. And although humans can make the clothing and shelter, food is the only internal requirement that can be artificially produced. Homogenization is increasingly used as a method of food production because of its various advantages over other methods. Keep reading to learn about some of the higher-impact advantages of homogenization and how your food production process can benefit. A consumer’s decision to purchase one food brand over another is largely based on its consistency, taste, and appearance. The processing method that dictates these factors should, therefore, be carefully considered, with homogenization being most common. In 2013, tomato juice was shown to have improved consistency and viscosity because of high pressure homogenization, which suspended particles during processing. (1) The simple ability to improve food processing outcomes can really elevate a product above competitors to increased company sales. Like with food outcomes, high pressure homogenizers are also incredibly effective as a food preservation method. In fact, the method continues to increase in popularity over traditional heat treatment for its high level of function. The reason for this is that although both high pressure and heat can kill harmful microorganisms, heat exposure kills some of the food’s naturally-occurring nutrients- while high pressure homogenization leaves them untouched and ready for consumption. Related to food preservation in terms of chemical stability is shelf life, or the ability of a food to stay fresh before consumption. The intensive pressure applied by a high pressure homogenizer causes most foods to attain more stable chemical structures; this allows for a longer period of freshness than would otherwise be possible, especially compared with foods comprised of larger particles. A food’s ability to have its intended effect can be attributed to a wide variety of factors, in particular the size of its particles and consistency in particle size. Every food manufacturer should therefore consider each as food production processes are established. The first step in synthesizing a food product with high bioavailability is purchasing equipment that will achieve consistent particle size distribution. One such example is the high pressure homogenizer by BEE International Technology. Their products are trusted by researchers and lab managers around the world for key benefits, such as production of nano/micro emulsions, dispersions, and suspensions; importantly, this equipment can achieve consistent particle sizes at or below 100 nm, a key benefit for any product coming from the food industry. Learn more about how BEE International can aid your particle size reduction process by contacting us today. Homogenization is associated by both consumers and researchers as a method of milk production. The treatment prevents separation of the two phases, causing a single homogenous mixture that is visually pleasing and does not require shaking prior to use. However, far fewer individuals understand the critical role of this process in either food production or food treatment. Below are foods that you may be surprised to find out are either produced or treated with homogenization; keep reading to learn how they benefit from the process. A food’s ability to have its intended effect can be attributed to a wide variety of factors, in particular particle size and consistency in size. Every food manufacturer should therefore consider each as food production processes are established. The first step in synthesizing a food product with high bioavailability is purchasing equipment that will achieve consistent particle size distribution. One such example is the high pressure homogenizer by BEE International Technology. Our products are trusted by researchers and lab managers around the world for key benefits, such as production of nano/micro emulsions, dispersions, and suspensions; importantly, this equipment can achieve consistent particle sizes at or below 100 nm, a key benefit for any product coming from the food industry. Learn more about how BEEI can aid your particle size reduction process by contacting us today. If you were to ask a scientist/researcher to identify a single factor that keeps his/her lab running, odds are most would choose monetary funding. Which explains why techniques must be carefully chosen and reagents must be carefully handled. Using the wrong technique to manufacture a product can sink unnecessary amounts of money and time, while being informed enough to use the correct technique can increase efficiency in both arenas. Homogenization, intensive mixing by use of multiple mechanical forces, is a popular method due to its highly effective outcome, yet does not work on every type of solid and/or liquid product. 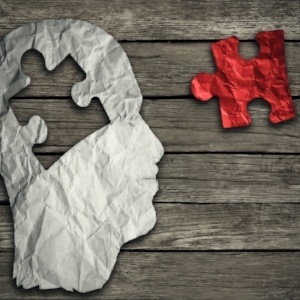 Keep reading to gain a better understanding of the uses and limitations for homogenization, so as to maximize the technique’s use. As you work to determine which homogenizer brand and model will be best suited for your laboratory, begin your search with BEE International Technology. We are globally recognized among laboratory managers and researchers across the food and beverage, chemical, pharmaceutical, and biotechnology industries. Particle size reduction and emulsification are just two of a variety of applications for BEEI homogenizers; cell lysis, lipids, suspensions, and dispersions are also easily achievable. Importantly, BEEI’s homogenizers can achieve consistent particle sizes at or below 100 nm, a key benefit for products that require smaller droplet sizes. Additionally, the homogenizer processes can be controlled to suit your product, which will allow you to customize to your cell type. And finally, the equipment is easy to use, produces higher yield in less time, and achieves results that are reproducible and scalable. The food industry, from farming to farmer’s markets to supermarkets to restaurants, is a huge part of every individual’s daily life. Fighting for a place in this multi-billion dollar sector thus requires a product that is better than its competitors in as many ways as possible. 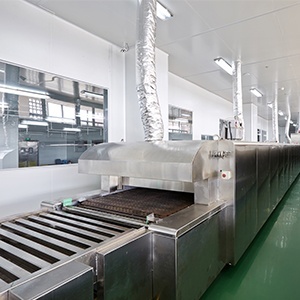 Food production companies in particular can take advantage of high quality technology, like high pressure homogenizers, to put out this type of product. High pressure homogenization, a form of intensive mixing that can reduce particle size, can potentially replace thermal methods of food preparation and make a big splash in the industry. Keep reading for some critical food applications for high pressure homogenizers. The term food processing encompasses all of the qualities that make a product good- texture, consistency, taste, and appearance. In a study conducted in 2013, researchers showed that tomato juice has an improved consistency and viscosity due to the ability of high pressure homogenization to suspend particles during processing. (1) This alone can elevate a product above its competitors and lead to increased company sales. Chemical stability is key to determining a food’s shelf life. Because high pressure homogenization uses force and pressure as opposed to heat, preservation of quality, taste, and nutritional content is possible. Additionally, the intensive pressure used to break down particles causes a more stable structure in the resulting food, allowing for a longer period of freshness than would otherwise be possible if the food were comprised of larger particles. Compared with other mixing equipment, high pressure homogenizers can achieve impressively small particle sizes. 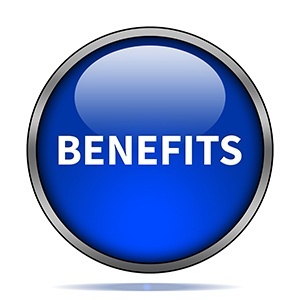 As indicated above, this confers huge benefits for the product itself. But interestingly enough, the consumer’s health may also benefit. One study showed a significant increase in growth among fish who ate pellets with reduced particle size. (2) And another, conducted among adult men, indicated that smaller particle size can reduce food intake and boost satiety, both of which contribute to improved health status. (3) Finally, the ability of a high pressure homogenizer to use pressure as opposed to heat preserves critical nutritional components that are naturally found in a food, allowing them to be available for consumption. A food’s ability to have its intended effect can be attributed to a wide variety of factors, in particular particle size and consistency in size. Every food manufacturer should therefore consider each as food production processes are established. The first step in synthesizing a food product with high bioavailability is purchasing equipment that will achieve consistent particle size distribution. One such example is the high pressure homogenizer by BEE International Technology. Their products are trusted by researchers and lab managers around the world for key benefits, such as production of nano/micro emulsions, dispersions, and suspensions; importantly, this equipment can achieve consistent particle sizes at or below 100 nm, a key benefit for any product coming from the food industry. Although many may wish otherwise, the modern American diet is largely comprised of foods with artificial/non-natural additives. These products provide us with much nutrition and energy to live healthy and successful lives, so it is critical that their production is considered. Foods like dairy and salad dressings require an intensive mixing process to be produced; homogenizers are commonly chosen for this purpose because of their effectiveness over other machines. 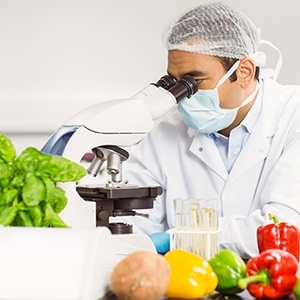 Once your laboratory has decided to use a homogenizer in the food production process, finding the right one may feel daunting. Here we present two key factors that any high quality homogenizer should possess, and which you should look for in a potential purchase. As in most other industries, the food industry lab bench is a place of discovery and innovation. When a food product with the potential to be marketed to consumers is synthesized, it needs to be scaled in a way that does not change its production procedure. When looking for a homogenizer for your food product, scalability is a key factor that differentiates a high quality product from a pool of competitors. Some companies, for example, offer separate laboratory, pilot-plant, and industrial homogenizers to accommodate each stage of the scaling process. Although not a well-studied area compared with other nutritional sciences, particle size reduction from homogenization may confer significant health benefits. These criteria will make a food product more marketable to the consumer. For example, decreased particle size has the potential to increase growth and reduce food intake by boosting satiety. (1, 2) Additionally, the food product itself will be more stable when the particles’ surface area is increasingly available, and their texture will be more uniform and consistent. A food’s ability to have its intended effect can be attributed to a wide variety of factors. In particular, particle size and consistency in size are high-impact factors that every food manufacturer should consider. The first step in synthesizing a food product that confers high bioavailability is purchasing equipment that will achieve consistent particle size distribution. One such example is the high pressure homogenizer by BEE International Technology. Their products are trusted by researchers and lab managers around the world for key benefits, such as production of nano/micro emulsions, dispersions, and suspensions; importantly, this equipment can achieve consistent particle sizes at or below 100 nm, a key benefit for any product coming from the food industry.